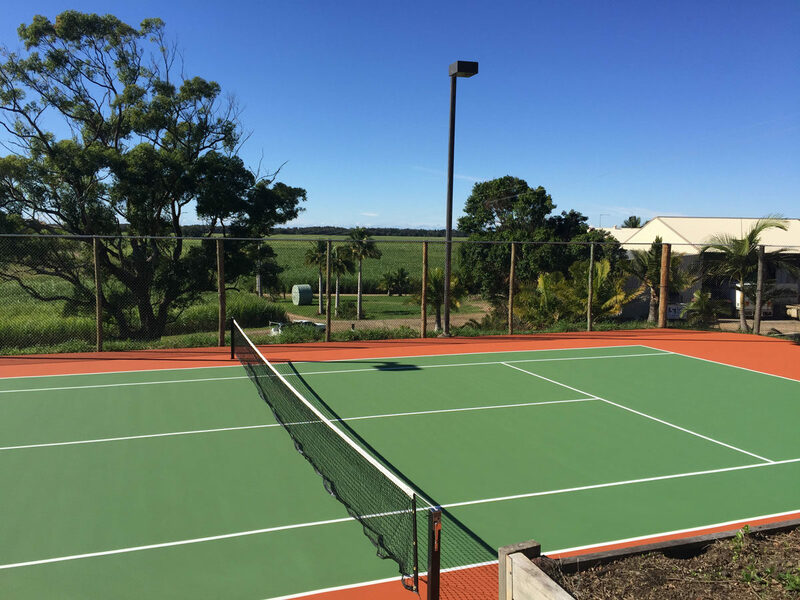 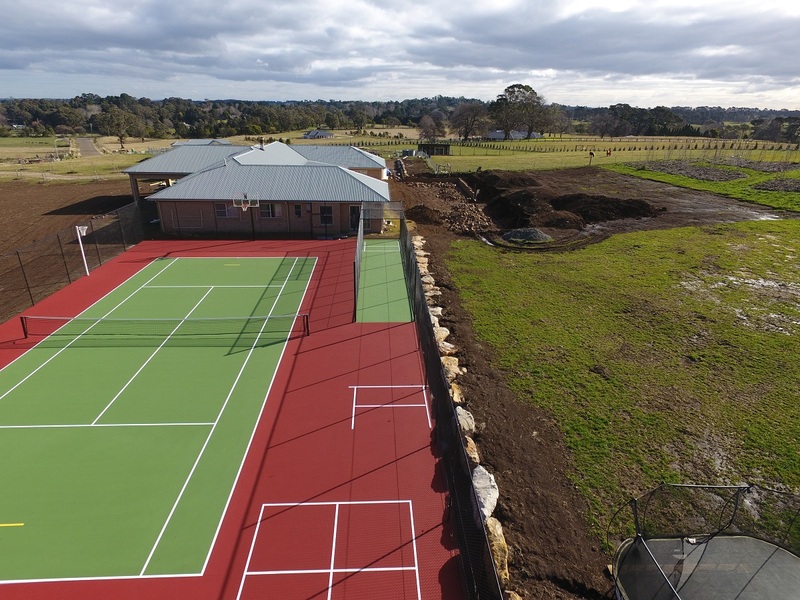 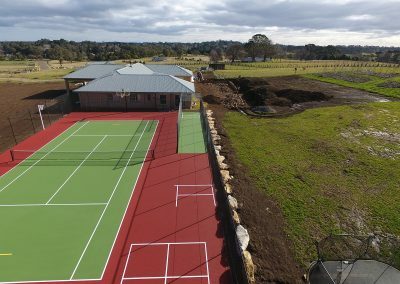 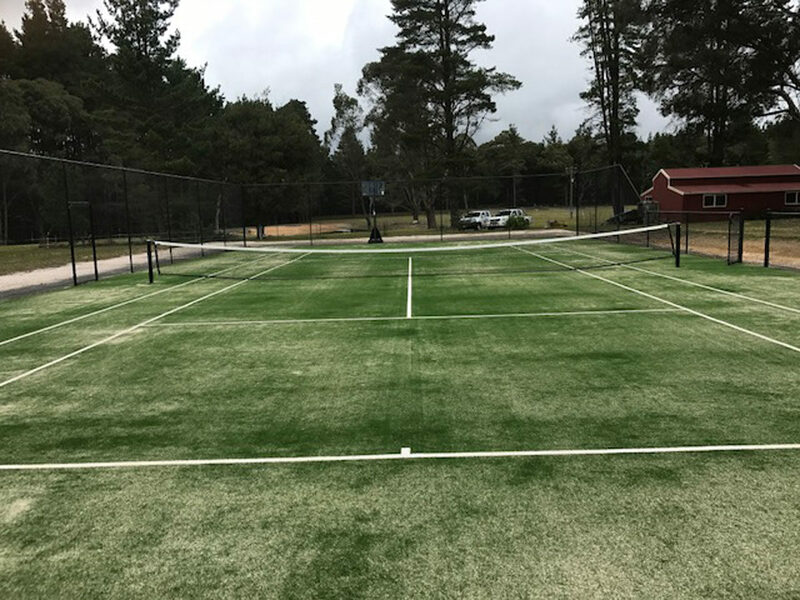 Tennis court in acrylic paint system finished in Grass Green play area with Outback Clay surrounds and lights. 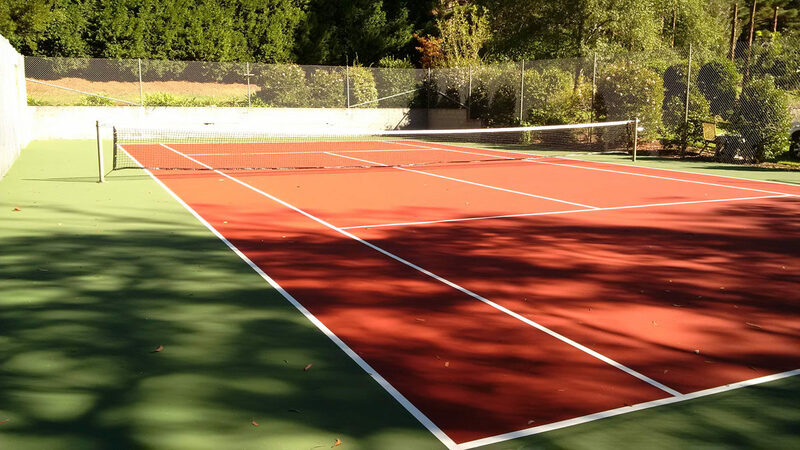 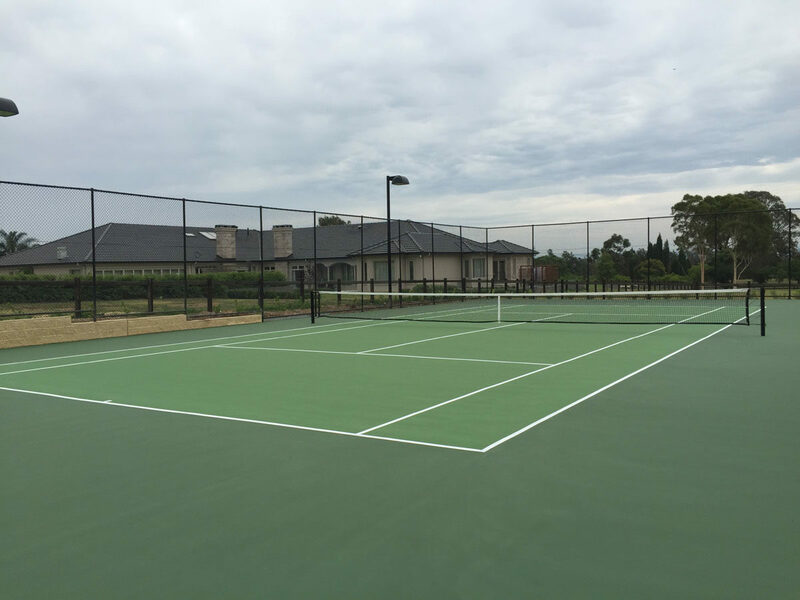 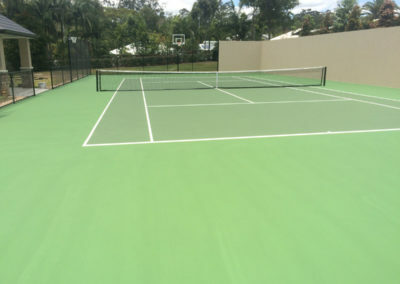 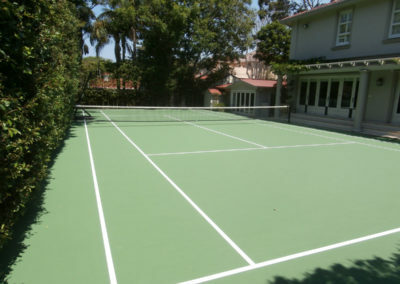 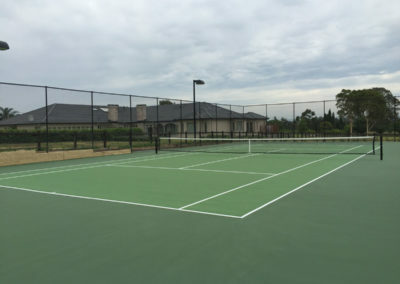 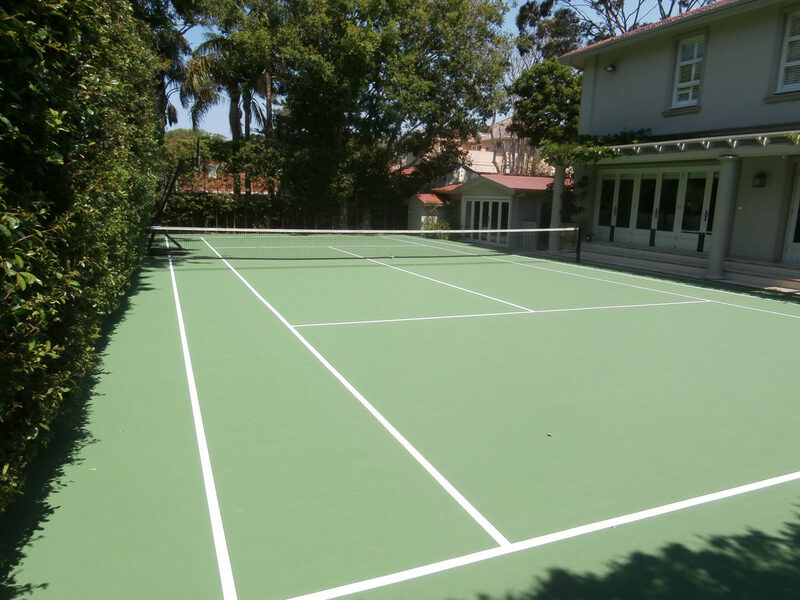 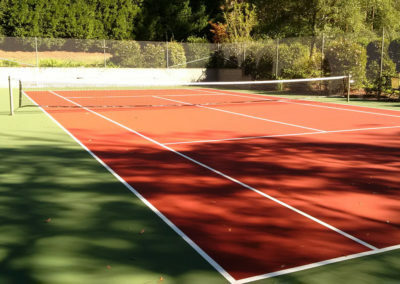 Tennis court in acrylic paint system finished in Moss Green. 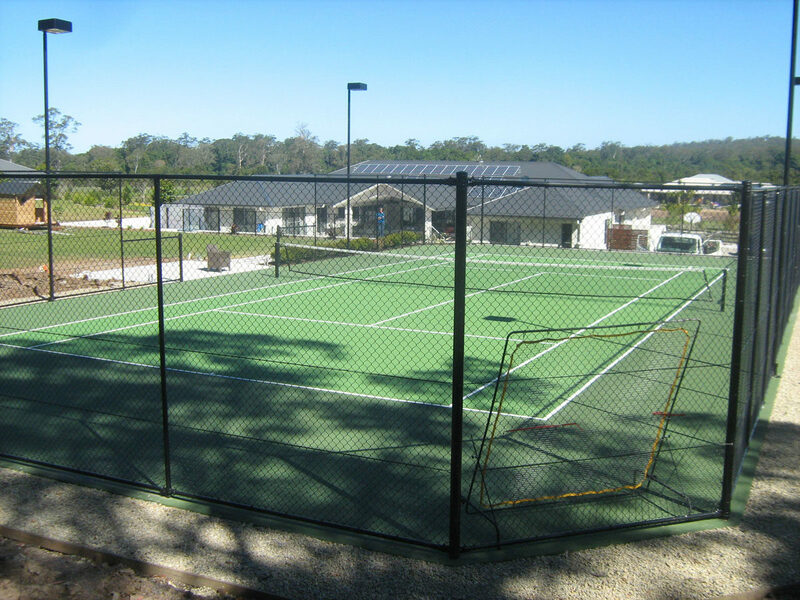 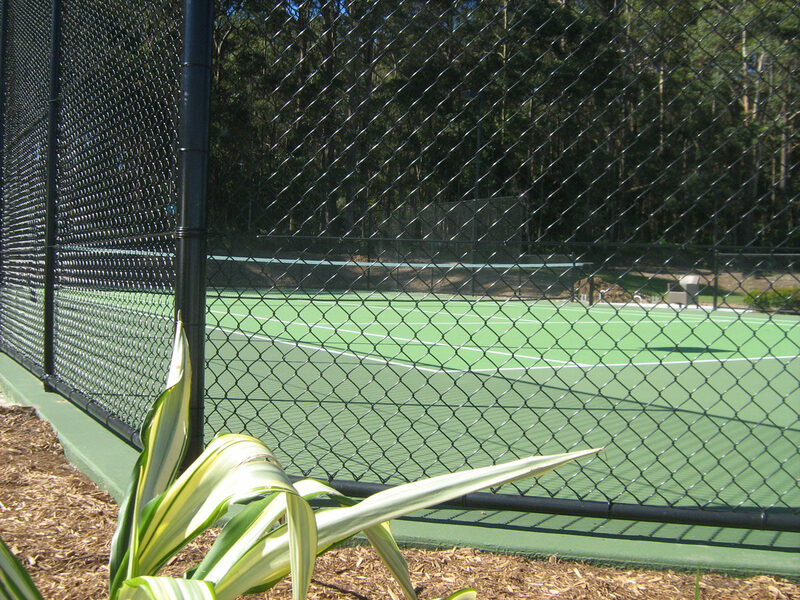 Tennis court in acrylic paint system finished in Byron Blue play area with Grass Green surrounds. 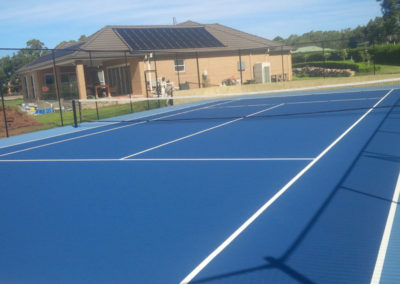 Tennis court in acrylic paint system finished in Dark Blue play area with Royal Blue surrounds. 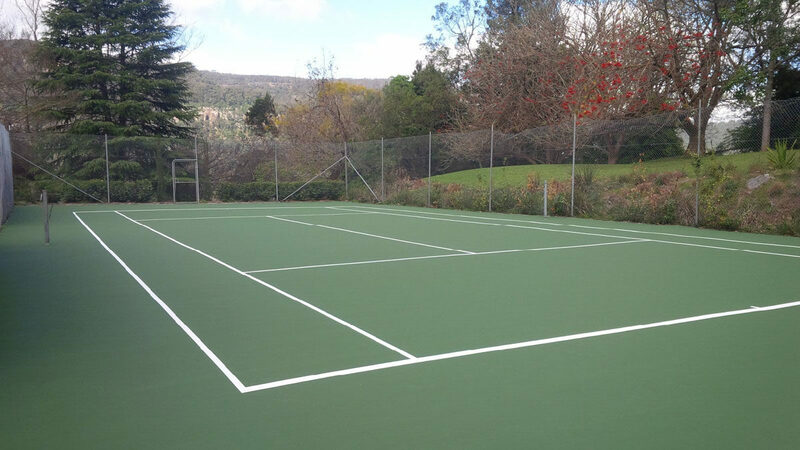 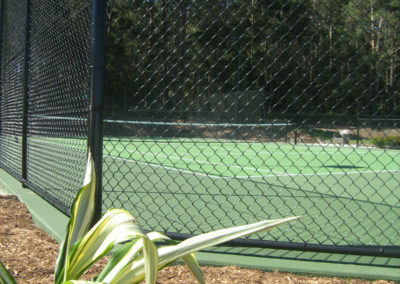 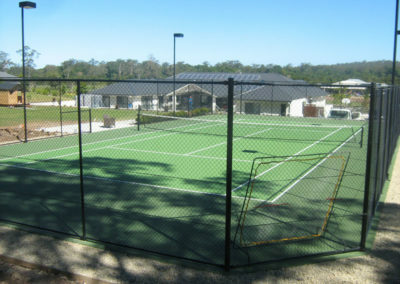 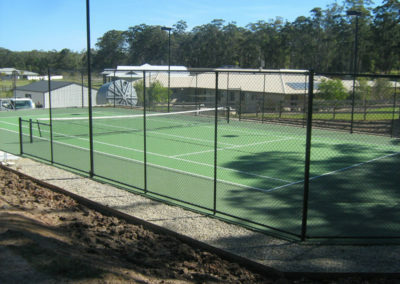 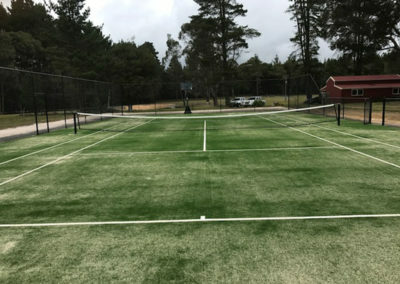 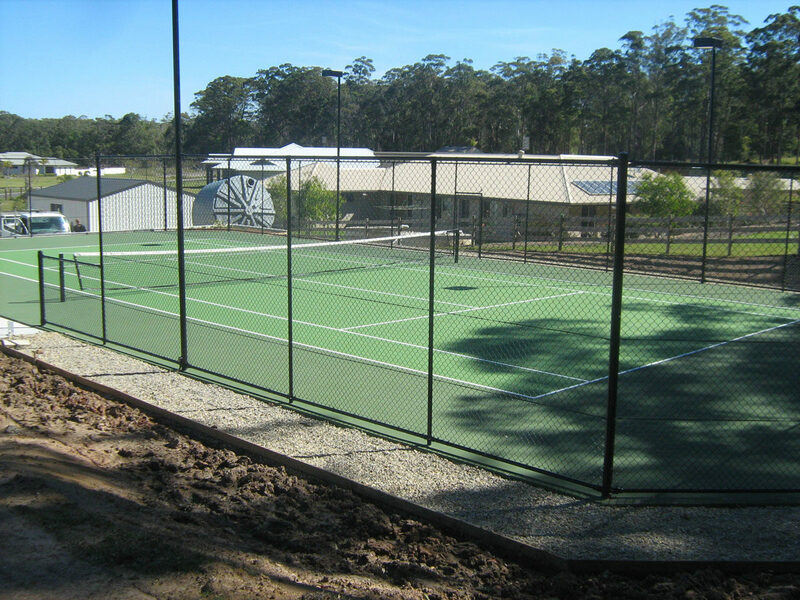 Tennis court in acrylic paint system finished in Grass Green play area with Moss Green surrounds. 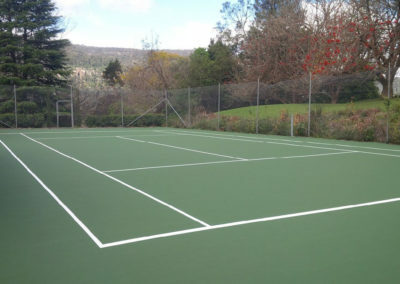 Tennis court in acrylic paint system finished in Moss Green play area with Grass Green surrounds. 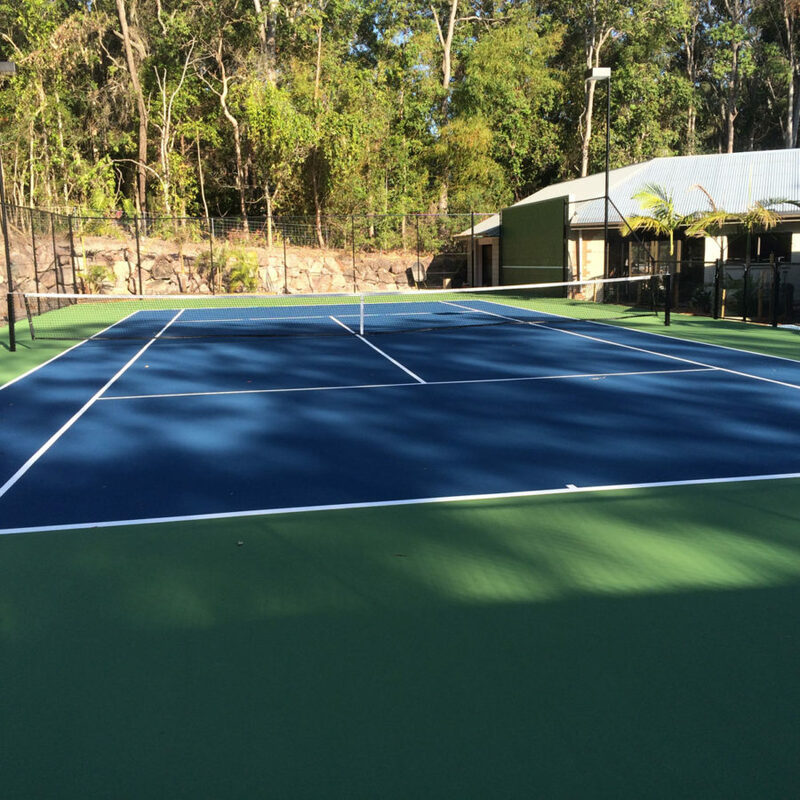 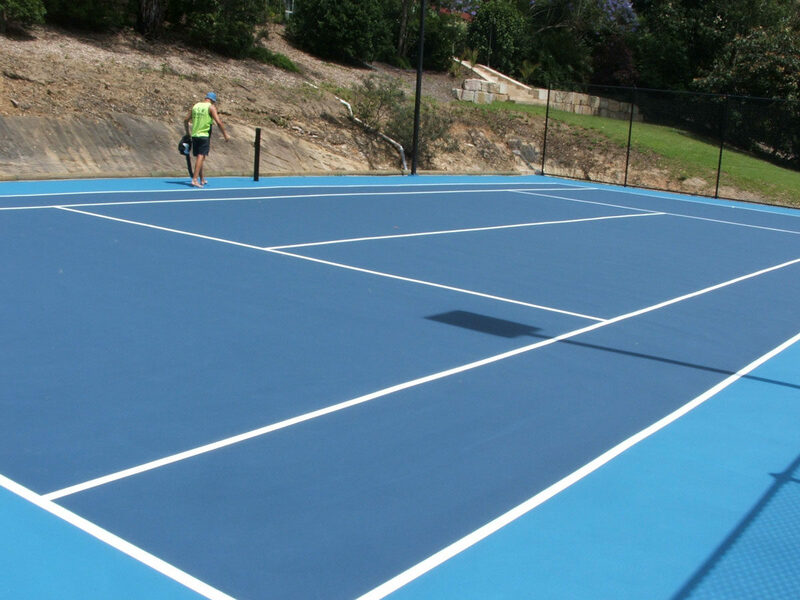 Tennis court in acrylic paint system finished in Royal Blue play area with Dark Blue surrounds. 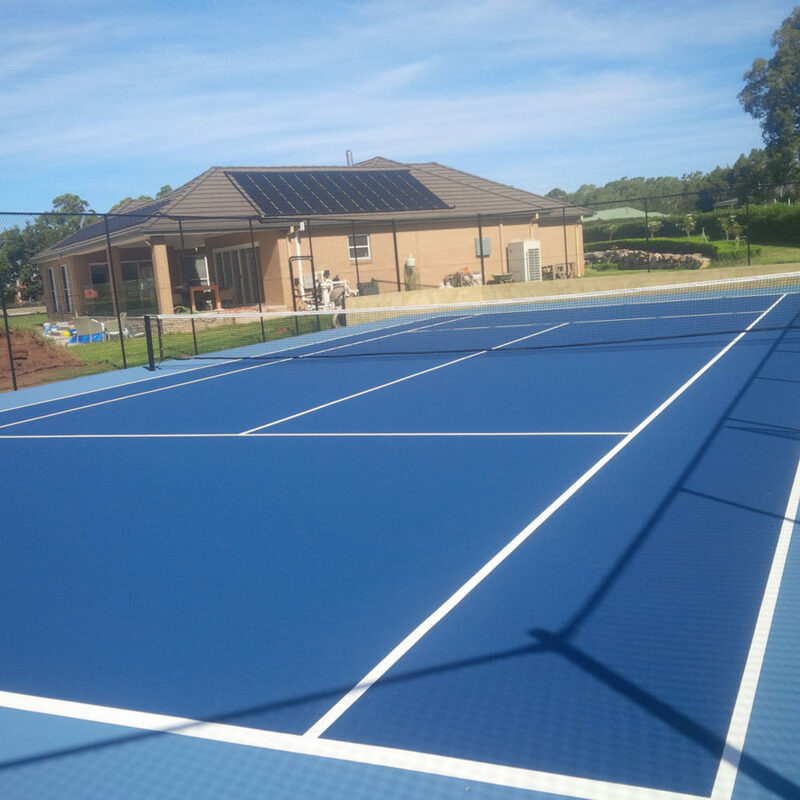 Tennis court in acrylic paint system finished in Royal Blue play area and Grass Green surrounds. 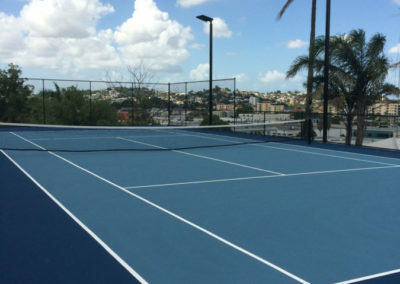 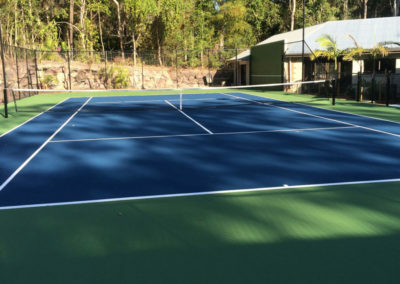 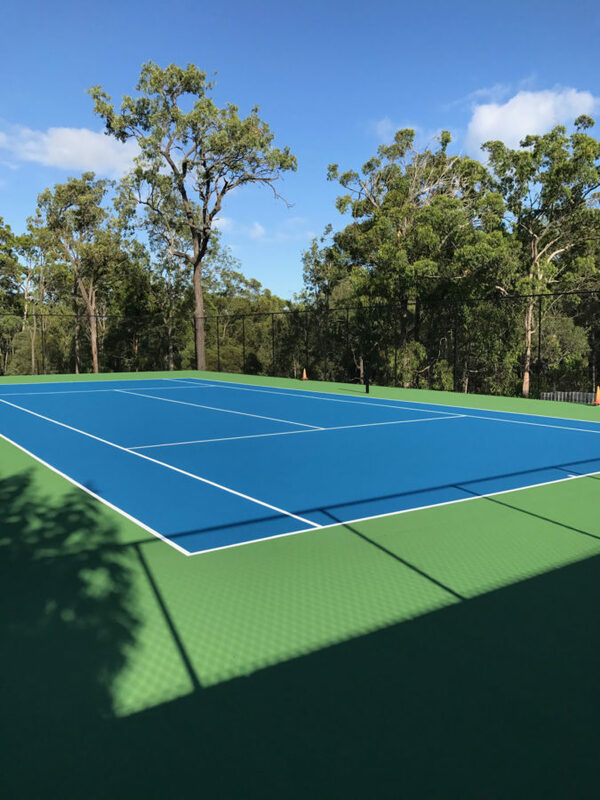 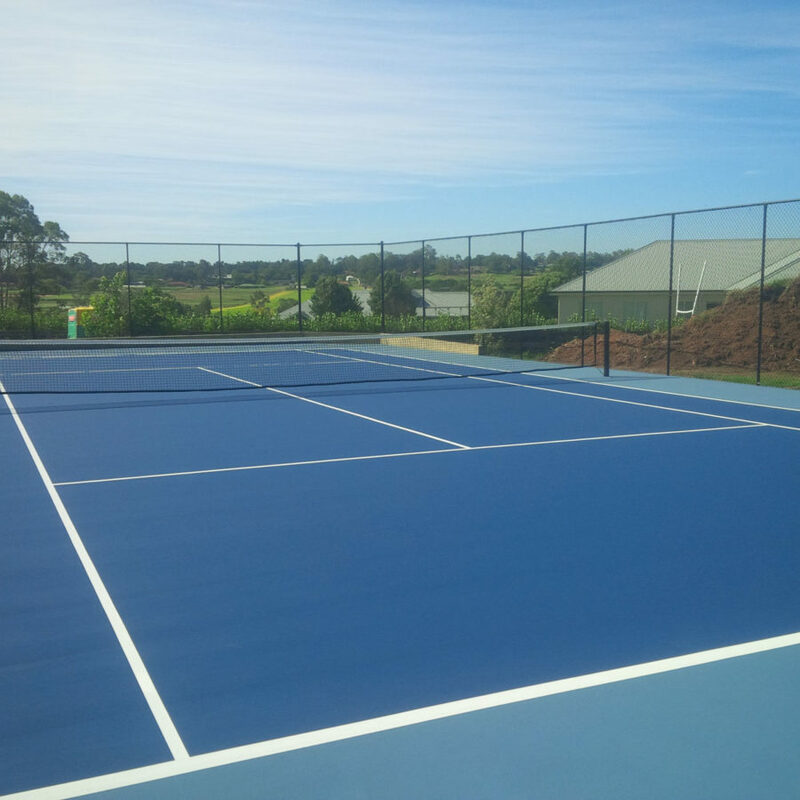 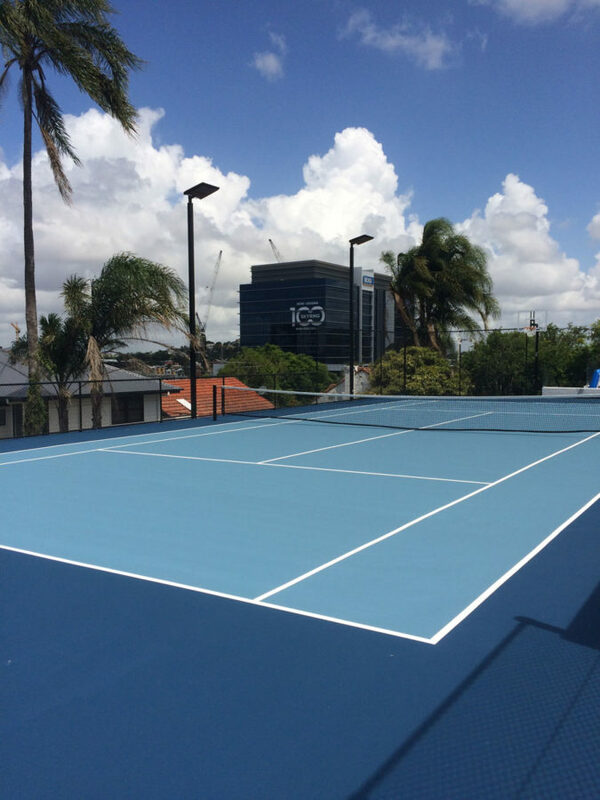 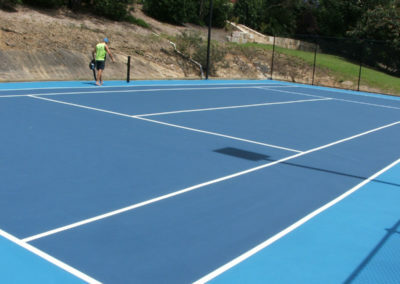 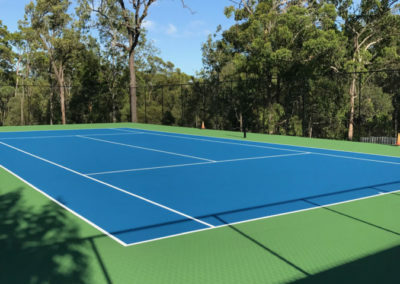 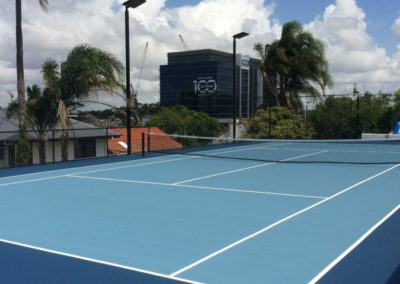 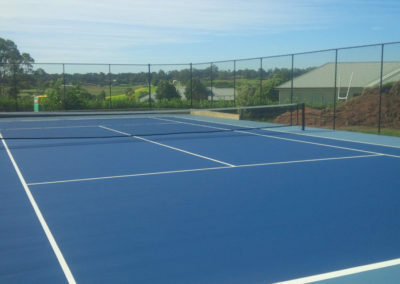 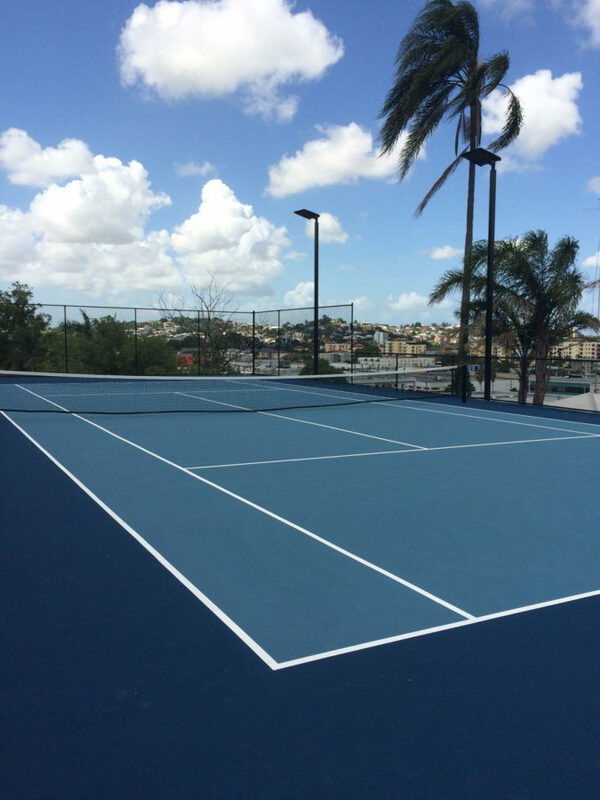 Tennis court in acrylic paint system finished in Royal Blue play area and Ocean Blue surrounds. Tennis court in acrylic paint system finished in Terracotta play area and Moss Green surrounds. 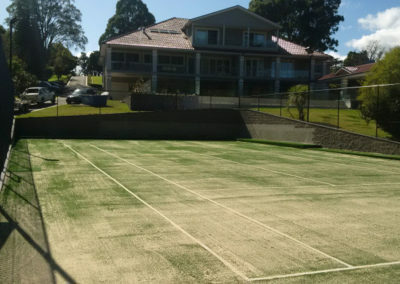 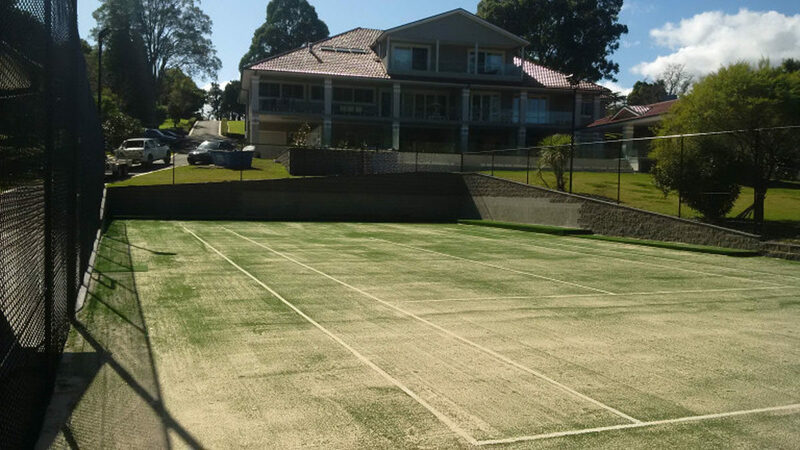 Tennis court finished in 19mm sand filled synthetic grass.